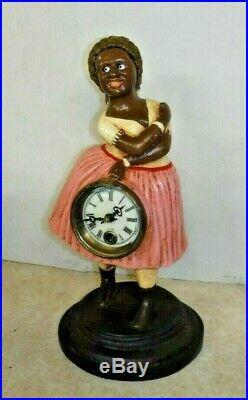 BLACK AMERICANA CAST IRON MAMMY WIND-UP CLOCK, MOVING EYE AUTOMATON "TOPSY" WORKING, IN EXCELLENT WORKING CONDITION. 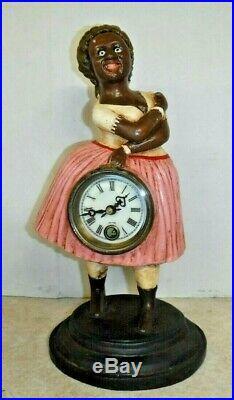 EXCELLENT CLEAN, NOVELTY, MANTLE CLOCK IN EXCELLENT, WORKING CONDITION. 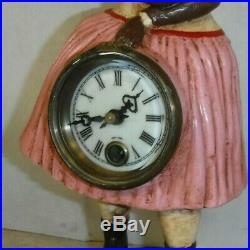 PAINTED IRON CASE, WITH MECHANICAL CLOCK IN FRONT. 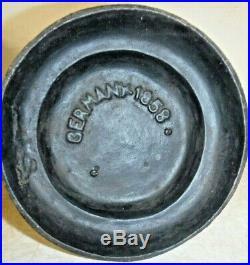 IRON BASE STAMPED "GERMAN 1858" ON THE UNDERSIDE. EYES MOVE AS THE CLOCK TICKS. COMES WITH WINDING KEY, AND ORIGINAL PACKING CASE. THIS IS A GREAT REPRODUCTION CLOCK. 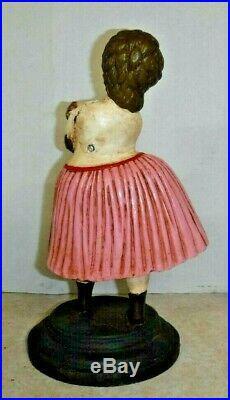 MEASURES 12 INCHES HIGH, 5 1/2 INCHES DIAMETER. 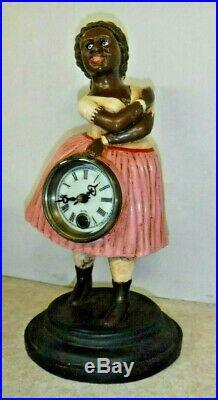 Very nice reproduction novelty clock. 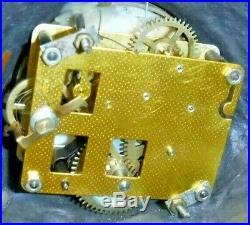 Working brass movement, eyes move from side to side when clock is running. Winding key included with clock. 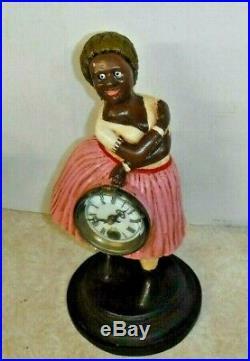 The item "BLACK AMERICANA CAST IRON MAMMY WIND-UP CLOCK MOVING EYE AUTOMATON TOPSY RUNS" is in sale since Thursday, March 14, 2019. 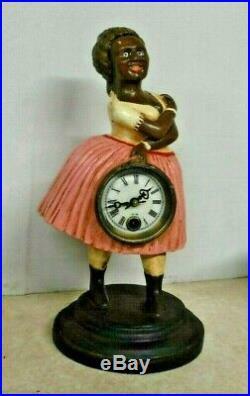 This item is in the category "Collectibles\Clocks\Modern (1970-Now)\Shelf, Mantel".
" and is located in Phoenixville, Pennsylvania. This item can be shipped worldwide.